Houthi Forces Destroy Convoy Of Saudi-Led Coalition Near Taiz 5 out of 5 based on 7 ratings. 7 user reviews. Houthi-Saleh forces have destroyed a Saudi-led coalition convoy near the Yemeni city of Taiz, according to the video released on January 8. Anti-Saudi forces have destroyed a notable number of military equipment, including Caiman MTV, Oshkosh M-ATV armoured vehicles. There are no confirmed reports about casualties of the Saudi coalition. 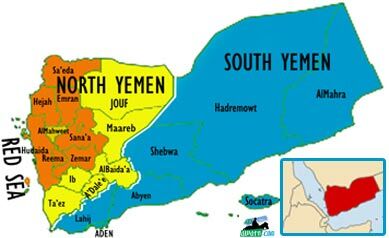 However, according to pro-Houthi sources over 20 pro-Saudi fighters have been killed. This is a pointless war in a very poor nation. The Saudis and their allies have proven to be completely ineffective with their parade ground armies. The Houthis have shown themselves to be brave , skilled and resourceful. Time and again they have used the terrain and superior tactics to rout the over equipped under trained Saudi forces. This war will be the undoing of the House of Saud . Their army has been shown up as useless , literally by loincloth wearing tribesmen. The Wahabbi Jihadists and Isis will see this as a weakness and start planning the fracture of Saudi Arabia. Mecca is a grand prize in the minds of the psychos. Lesson learned: Don’t pick a fight with the Flip-Flop Army in the mountains they call home. You will lose, not matter how many Yemenis you manage to kill.